Have you lost your valuable data from your Sony laptop or did you experience a hard drive crash on any of the Sony VGN notebook models? Hard disk making a clicking sound or error messages appear during boot? Don’t panic. 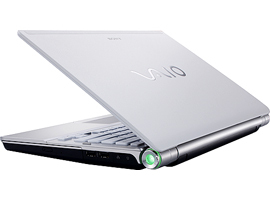 You have come to the right place for Sony laptop data recovery in London. At Creative IT, we have been providing successful hard drive data recovery services for business and individual customers for more than a decade. We are your perfect choice for secure, prompt and confidential Sony VGN series data recovery services. Our experts can recover data from Sony VPCB1, VPCCW, VPCEA, VPCEB, VPCEC, VPCF1, VPCL1, VPCM1, VPCS1, VPCW1, VPCW, VPCW1, VPCW2, VPCX1, VPCY1, VPCY2, VPCZ1, VGX-TP, VGX-XL, VGN-A, VGN-AR, VGN-AW, VGN-B, VGN-BX, VGN-BZ, VGN-C, VGN-CR, VGN-CS, VGN-FE, VGN-FJ, VGN-FS, VGN-FW, VGN-FZ, VGN-G, VGN-N, VGN-NR, VGN-NS, VGN-NW, VGN-P, VGN-S, VGN-SR, VGN-SZ, VGN-T, VGN-TT, VGN-TX, VGN-TZ, VGN-UX, VGN-X505 and VGN-Z series. With over ten years of professional data recovery experience, you will be in no doubt that your important data is in good hands. Contact Creative IT to promptly salvage the data from your failed Sony laptop hard drive. Contact us on 020 7237 6805 or email us at info@creativeit.net for your London Sony VGN series data recovery requirements and our experienced Sony laptop hard drive data recovery experts can be of assistance.